Christopher F. Zurn is Associate Professor, Department of Philosophy, University of Massachusetts, Boston. He is the author of "Deliberative Democracy and the Institutions of Judicial Review" (Cambridge University Press, 2007) and co-editor of "Anerkennung" (Akademie Verlag, 2009). In an article in "Süddeutsche Zeitung" (January 25, 2011), Jürgen Habermas and Julian Nida-Rüdelin express their concerns about the situation in Hungary for Agnes Heller, Mihály Vajda and Sándor Radnóti. They have been accused of misusing public funds. See also professor Laszlo Tengelyi's open letter on the situation of philosophers in Hungary. "Given this, we call on the European Commission not only to subject the Hungarian media law to a long-overdue legal assessment, but that, at the same time, in the course of this assessment, it ought also to take into account the general practices of the Hungarian regime and its agents, and in this case especially it ought to examine the treatment of critical academics and intellectuals. In the question of whether, in a country that today represents the European Union, essential principles of a liberal constitutional order may be injured, the European parliament abstains from giving an answer; the Council of the European Union is, as usual, divided; and the German federal government makes merely tight-lipped statements." "Interview: Michael Sandel on Justice"
"I do think that Kant has a powerful argument against the utilitarian way of thinking about morality and justice. The hard question arises when it comes to identifying what universal rights we have and what it means to respect them. Kant thought the reason duties and rights are categorical and universal is that we can arrive at them by abstracting from all of our particular interests, values, ends and purposes in life. That is, if we subtract all the differences between our interests, values and so on, what we’re left with are those interests, values etc that we all share. That’s what makes them universal: we arrive at them regardless of who in particular we are. But that way of defining and deriving rights comes at a cost. It requires us for purposes of justice to abstract altogether from the particular conceptions of the good life that we have." Michael Sandel is Professor of Government at Harvard University. His latest book is "Justice: What's the Right Thing to Do?" (Farrar, Straus and Giroux, 2009). See some of my previous posts on Michael Sandel here, here & here. Beginning in January 2011, BBC4 TV is hosting a debate on the state of justice in Britain and the world today - "Justice: A Citizen's Guide" - including lectures by Michael Sandel. In this collection of essays, Joshua Cohen locates ideas about democracy in three far-ranging contexts. First, he explores the relationship between democratic values and history. He then discusses democracy in connection with the views of defining political theorists in the democratic tradition: John Locke, John Rawls, Noam Chomsky, Jürgen Habermas, and Susan Moller Okin. Finally, he examines the place of democratic ideals in a global setting, suggesting an idea of “global public reason”—a terrain of political justification in global politics in which shared reason still plays an essential role. All the essays are linked by his overarching claim that political philosophy is a practical subject intended to orient and guide conduct in the social world. Cohen integrates moral, social-scientific, and historical argument in order to develop this stance, and he further confronts the question of whether a society conceived in liberty and dedicated to equality can endure. Joshua Cohen is Professor of Ethics in Society at Stanford University. He is editor of Boston Review. His books include "Philosophy, Politics, Democracy: Selected Papers" (Harvard University Press, 2009) and “Rousseau: A Free Community of Equals” (Oxford University Press, 2010). In his new book "Justice for Hedgehogs", Ronald Dworkin sharply criticises Amartya Sen's book on justice. "Sen's own work in developmental economics has been enormously important and useful. His views on the causes of famine has been particularly influential. He has brought a wealth of Eastern, particularly Indian, history, literature, and philosophy to the attention of Western readers; his latest book is particularly rich in such information. However, The Idea of Justice does not support Sen's claim of a departure in normative political philosophy: in fact he offers less help in real-world judgment than do the theories he means to depart from. His comments on particular political issues are either uncontroversial - he condemns slavery - or noncommittal. He appeals to a variety of standards for comparative judgment of existing structures, but at far too abstract a level to be useful in comparative judgment. He endorses the spirit of Adam Smith's "impartial observer" test, which recommends the decisions that an ideal and impartial judge would reach. But that test, unless construed in a utilitarian way, lacks bite: it does not tell us what theory a beneficent spectator would deploy to decide issues now controversial. Sen says that policy should focus (though not exclusively) on promoting equality in what he calls "capabilities".... But he concedes the wide variations in people's rankings of the importance of these capabilities and does not recommend any way of choosing among the rankings in the face of serious disagreement. He believes that free democratic discussion among ideally public-spirited citizens would be helpful to comparative judgment. He does not say how this thought is helpful in real communities that include a great many followers of, say, Sarah Palin. It is not helpful, in the world of real politics, only to call for due consideration of a large variety of factors that everyone concedes relevant without also offering some overall scheme to suggest how these different factors should be weighted in a practical decision about a controversial issue." (p. 577). See also Sen's critique of Dworkin in "The Idea of Justice" (Harvard University Press, 2009) pp. 264-68. Sen here informs us that he and Dworkin jointly taught classes for ten years at Oxford University. See my previous post on Ronald Dworkin's new book here. On January 12, 2011, Jürgen Habermas participated in a discussion in München on the book "Das Amt und die Vergangenheit. Deutsche Diplomaten im Dritten Reich und in der Bundesrepublik" by Eckart Conze, Norbert Frei, Peter Hayes, & Moshe Zimmermann (Karl Blessing Verlag, 2010). The discussion took place at "Katholische Akademie in Bayern". Read the report on the discussion in Frankfurter Allgemeine Zeitung, January 14, 2011: "Wie einmal sogar Habermas überrascht war". Gerald Gaus shows how we can achieve a moral and political order that treats all as free and equal moral persons. The first part of this work analyses social morality as a system of authoritative moral rules. Drawing on an earlier generation of moral philosophers such as Kurt Baier and Peter Strawson as well as current work in the social sciences, Gaus argues that our social morality is an evolved social fact, which is the necessary foundation of a mutually beneficial social order. The second part considers how this system of social moral authority can be justified to all moral persons. Drawing on the tools of game theory, social choice theory, experimental psychology, and evolutionary theory, Gaus shows how a free society can secure a moral equilibrium that is endorsed by all, and how a just state respects, and develops, such an equilibrium. Gerald Gaus is Professor of Philosophy at the University of Arizona. He is the author of "Contemporary Theories of Liberalism: Public Reason as a Post-Enlightenment Project" (Sage, 2003). 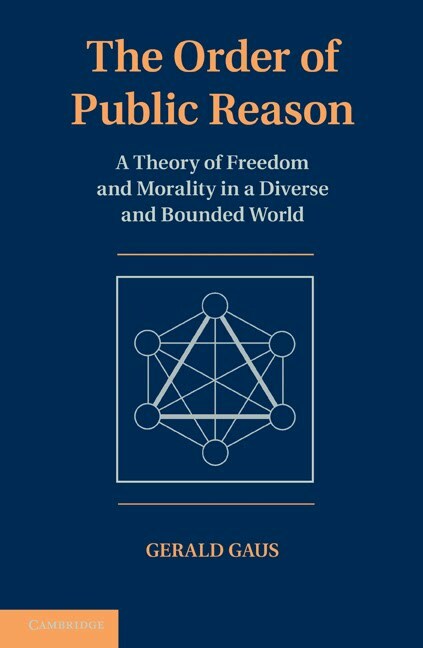 Follow the reading group on Gaus's book at the blog "Public Reason: A Blog for Political Philosophers". "Specter is especially good at discerning how even the more technical facets of Habermas’s thinking took shape in critical dialogue with contemporary political events. This is true most of all for Specter’s account of the genesis of Habermas’s most recent contribution to political and legal theory, Between Facts and Norms, published in Germany in 1992, the work to which Specter devotes deepest attention in his book’s closing chapter, almost as if it were the culmination of Habermas’s career. One of Specter’s major aims is to push back against critics (such as the left-Schmittian Chantal Mouffe) who have read Between Facts and Norms as Habermas’s farewell to his earlier mode of Marxist-inspired critical theory and, more dramatically, as a capitulation to neo-liberalism. More moderate readers have seen the book as setting out on a new path, marking a “legal turn” or “liberal turn” in Habermas’s thought. Peter Gordon is Professor of History at Harvard University. See my post on Matthew Specter's book here. See Brian Leiter's post on Peter Gondon's review at "Leiter Reports" and the comments on Leiter's post. The lecture was given at the Osgood Hall Law School, York University, on October 22, 2010. The paper will be published in "International Democracy: Normative and Empirical Perspectives" ed. by Daniele Archibugi & Mathias Koenig-Archibugi (Cambridge University Press, forthcoming 2011). Thomas Christiano is Professor of Law and Philosophy at the University of Arizona. He is the author of "The Rule of The Many: Fundamental Issues in Democratic Theory" (Westview Press, 1996) and "The Constitution of Equality: Democratic Authority and Its Limits" (Oxford University Press, 2008). First chapter of Honneth's book is available here (pdf). See also J. M. Bernstein's review of the book. And my post on Honneth's book here. In her long-awaited "Responsibility for Justice", Young discusses our responsibilities to address "structural" injustices in which we among many are implicated (but for which we not to blame), often by virtue of participating in a market, such as buying goods produced in sweatshops, or participating in booming housing markets that leave many homeless. Young argues that addressing these structural injustices requires a new model of responsibility, which she calls the "social connection" model. She develops this idea by clarifying the nature of structural injustice; developing the notion of political responsibility for injustice and how it differs from older ideas of blame and guilt; and finally how we can then use this model to describe our responsibilities to others no matter who we are and where we live. Iris Marion Young (1949-2006) was Professor of Political Science, University of Chicago. She is the author of "Inclusion and Democracy"(Oxford University Press, 2000). See the memorial website from Chicago Political Theory Graduate Student Caucus. See Martha Nussbaum's personal remembraces of Iris Young. 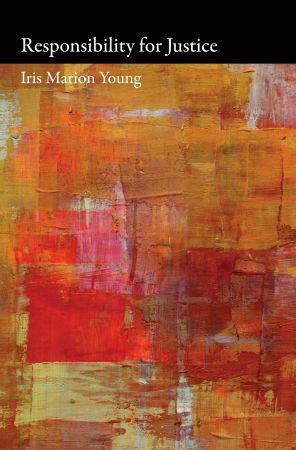 See also my post on "Dancing with Iris: The Philosophy of Iris Marion Young" (Oxford University Press, 2009) edited by Ann Ferguson & Mechtild Nagel. "L'Europe malade de la xénophobie"
"La question est alors la suivante: la participation dans les procédures démocratiques n'a-t-elle pour signification fonctionnelle que de réduire au silence la minorité battue, ou implique-t-elle une signification délibérative qui inclut les arguments des citoyens dans le processus démocratique de formation de la volonté et de l'opinion? Les motivations qui sous-tendent chacun de ces trois phénomènes — la peur des immigrés, l'attrait pour des figures charismatiques non-politiciennes et la rébellion populaire de Stuttgart — sont différentes. Mais elles se rencontrent pour traduire cumulativement un malaise croissant face à un système politique replié sur lui-même et de plus en plus désemparé. Plus le champ d'action des gouvernements nationaux se rétrécit, plus la politique se soumet docilement à ce qui s'impose comme des impératifs inévitables, économiques ou autres, et plus la confiance du peuple dans une classe politique résignée diminue. Les États-Unis ont élu un président qui possède une vision politique lucide, quand bien même est-il lui aussi pris d'assaut sur tous les fronts et en butte à des sentiments de plus en plus mêlés. Ce dont nous avons besoin en Europe, c'est d'une classe politique revitalisée, qui surmonte son propre défaitisme avec un peu plus de perspectives, de résolution et d'esprit de coopération. La démocratie dépend de la capacité du peuple à croire qu'une certaine marge de manœuvre existe qui nous permette de façonner l'avenir et d'affronter tous ses défis." 1: What Kind of Liberalism? 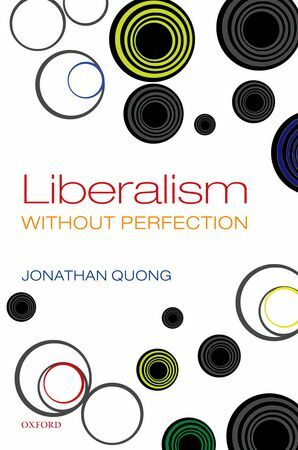 Jonathan Quong a Senior Lecturer in Political Philosophy at the University of Manchester. During 2010-11 Quong is a Laurance S. Rockefeller Visiting Faculty Fellow at Princeton's University Center for Human Values. See also Jonathan Quong's review essay of G.A.Cohen's "Rescuing Justice and Equality" (Harvard University Press, 2008): "Justice Beyond Equality". "Undermining the narrative of a virtually inevitable human evolution, the notion that rights are the foundation of society came only with the rise of the Harvard philosopher John Rawls’s vastly influential A Theory of Justice (1971). In the years following, it slowly came to be accepted that human rights were the bottom line in political morality. [....] The belief that rights are fundamental in political ethics is a late twentieth-century fancy. [....].... it was Rawls’s work that was chiefly responsible for the triumph of the narrow type of liberalism that has since dominated Anglo-American political philosophy. The result was to promote a type of liberal legalism in which the rule of law was simply assumed, while politics was virtually ignored. Where the human-rights project has become harmful is in nurturing the sickly dream of a time when the intractable dilemmas of ethics and politics will be overcome, transcended in an empire of law. Human rights are not the last utopia — just the one we must presently live with. The pursuit of the impossible is too much a part of the modern Western tradition ever to be truly renounced. The idea that utopianism will disappear is itself a utopian dream. The most that can be hoped for is that the piety which surrounds human rights will be tempered from time to time with a little skeptical doubt. 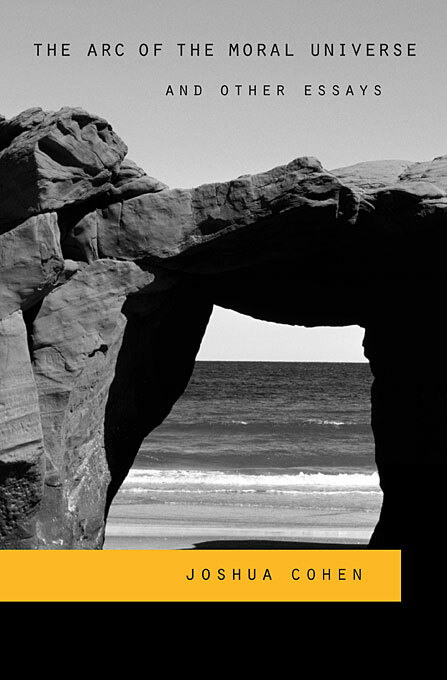 It is hard to think of a better start than Moyn’s seminal study." See my post on Samuel Moyn's book here. See Samuel Moyn's lecture on "The Last Utopia" (video, 48 minutes). An excerpt from Moyn's book has been published in "The Nation" (August 30 -September 6, 2010), entitled "Human Rights in History". Also see his "On the Genealogy of Morals" from "The Nation" in 2007. John Gray's latest book is "Black Mass: Apocalyptic Religion and the Death of Utopia" (Allen Lane, 2007).